All of HIPOWER SYSTEMS' precision-machined and tested diesel generators are enclosed and portable, making them the ideal choice for markets from construction and special events to convenience stores. Built with the highest-quality standards to increase longevity and reduce maintenance and service calls, our portable natural gas generators are in demand for urban operations and industrial sites. Using diesel power modules, parallel systems and medium voltage transformers, HIPOWER SYSTEMS created a custom configured power plant to meet the needs of the utilities companies. An increasing number of extreme weather events, combined with the outdated, problematic power grid in the U.S. and Canada, is accelerating demand for HIPOWER SYSTEMS' backup generators. Keep the Home Lights Burning. When Unexpected Closure Isn't in the Plan. Every piece of power distribution equipment and cabling we offer combines innovation and excellence with enhanced features to provide superior power efficiency and versatility. GDSs Series Input Panels, can help you connect your mobile generator in a quick and safe way using Standard Camlok devices. HIPOWER offers only the best Welding Cable available in todays demanding Market. With their precision engineering, energy efficiency, use of clean-burning, low-cost fuel, HIPOWER SYSTEMS' award-winning natural gas generators are becoming a genset of choice for oil & gas operators. In the challenging conditions of the oil & gas industry, uptime is a mandate, HIPOWER SYSTEMS' high-performance diesel generators are designed and manufactured to achieve these goals, and far more. Iveco Diesel Engine: Long-life, heavy-duty, 4-cycle, direct injection engine from a world renown manufacturer for economy of operation. and maximum reliability and durability. Capable of full load acceptance in one step. Cooling: Radiator with belt driven pusher fan. Filtration: Heavy-duty replaceable element air -cleaner. Alternator: single bearing, 4-pole, rotating field, self-excited, self-ventilated, 12-wire reconnectable, 60Hz, brushless alternator with Class H insulation. Automatic voltage regulator (AVR) providing close voltage regulation. 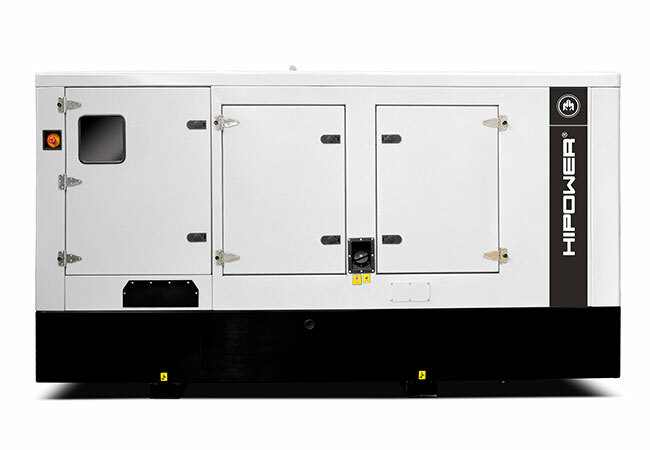 Certification: Generator set is UL 2200 certified and meets ISO 8528-5. Arrangement: Open skid with engine and alternator units close coupled together and with resilient anti-vibration isolators mounted between the assembly and a heavy-duty steel base. The sturdy base frame has openings allowing for winching, slinging and forklift pockets for ease of handling. Auto Start Control Panel: Digital auto-start microprocessor based control panel with remote start capability. Starting system: 12 volt starter motor, battery cables, battery and belt driven charging alternator. Dimensions Open 114.2" x 35.4" x 64.3"
Dimensions Lv1 141.3" x 43.3" x 70.7"
Noise Lv1 72 dBA @ 23 ft.
Don"t have an account yet? Colocar aqui el contenido para class "borrar-todo"